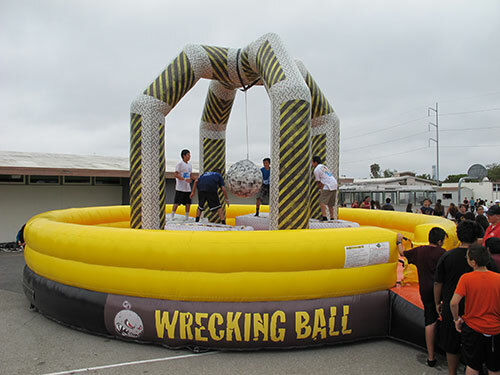 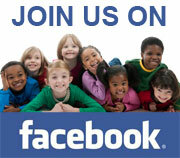 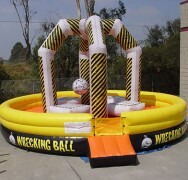 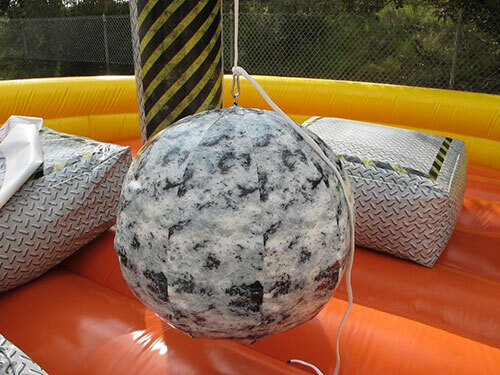 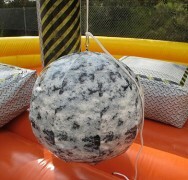 Wrecking Ball is a brand-new concept for kids and adults of all ages! 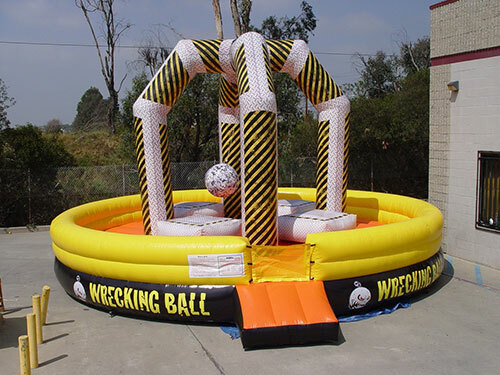 It’s big, bold, and extreme! 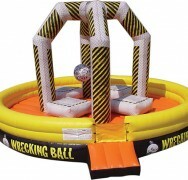 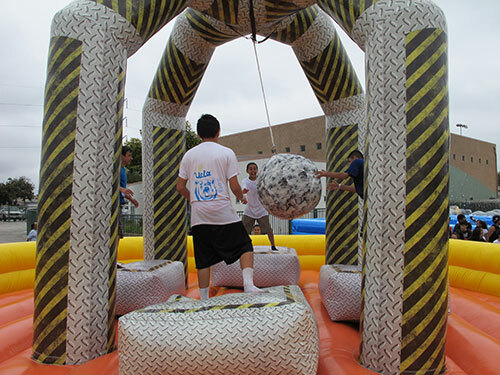 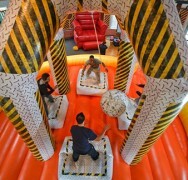 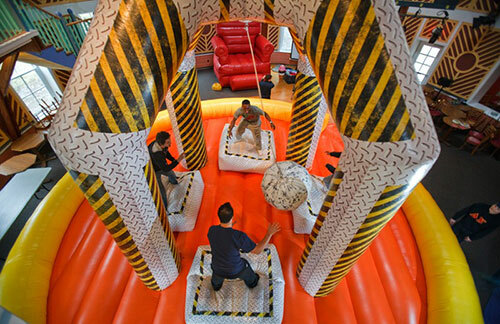 This ultimate high-energy game allows four players to climb atop their inflated pads, while one of the players grabs the Wrecking Ball and hurls it at his or her opponent in an attempt to knock the player off. 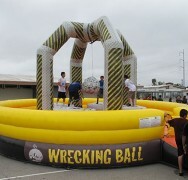 As the Wrecking Ball swings back, the other players try and grab it. 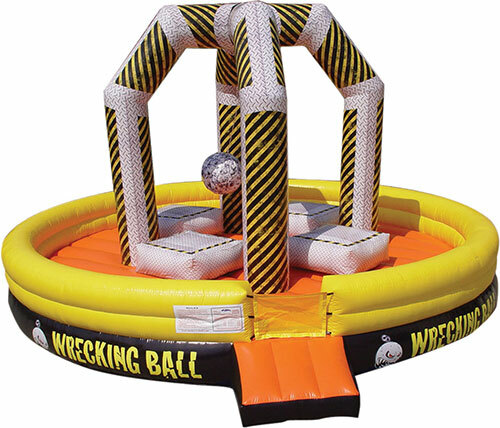 The player who grabs it first then hurls it at another player, trying to knock that player off. 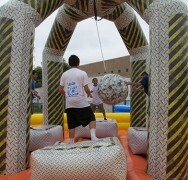 The last player standing is the champion.